Not sure what services you may need? Set up a consult with one of our care specialists. Understanding your newborn’s needs can be overwhelming. Whether you are a first-time parent in need of guidance, help setting up an efficient nursery, or some positive feedback, Sleep Well Infant Services can answer all of your newborn care questions. 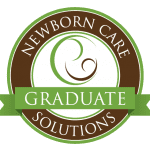 Call to schedule your newborn care consultation over the phone or in the comfort of your home.